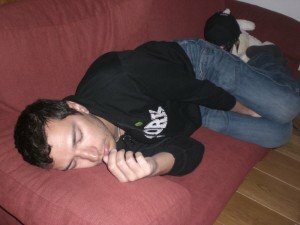 Last week I had my first Couchsurfing guest. It’s a community where people believe in hospitality and provide free accommodation to travelers. It’s a revolution in the concept of visiting a place, being in touch with someone living there. It’s for people willing to meet local people, hear their stories and recommendations. You can be a host, a guest or both, totally up to you. You can ask to be hosted, or accept/deny requests from people to surf your couch, totally up to you. If you think that is a great idea, you’re with me. Anyway, I’m not writing here to explain what CS (CouchSurfing) is, nor to convince you that is a great or safe idea to host or be guest of a total stranger. I’m writing to share my first experience: last week I had my first Couchsurfing guest, as I’m saying since the beginning. He contacted me on the website, offering to be my first guest for 2 nights, as he was coming to visit Amsterdam for a week or so. Checking his profile, I had a good feeling about the guy and I could see that he was in a CS trip around Europe, so this made him already an interesting character! Chris, this is his name, came well organized: the first day he booked an hotel room, then phoned me up to meet and have a drink. I appreciated this because in this way we could get to know each other before any commitment about hosting. He was clearly an experienced Couchsurfer and a well organized person. Well, I really enjoyed the evening, taking him in few of the characteristic Amsterdam bars, and talking about his trip, how he ended up taking a Sabbatical and sharing stories and experiences. This sentence say all about the spirit of who decide to travel this way…. but think about it. Chris is travelling alone, something very uncomfortable and boring for most people. Instead of paying hotels and try the luck in random places, he has been hosted by someone living in the city (well. that’s me) that could take him out to nice places to meet people. He did not get bored not even a second. Hosting him was a great experience., and rewarding too. Taking him around was fun and we talked a lot about everything. Now I have a friend more… the kind of friend that you want to keep in touch with, not the kind of friend you go out partying without even talk… and also, I’m really curious to try myself a little vacation alone being someone else guest. Guest Post: Si puo realmente risparmiare con i coupon online? Sei il solito maiale….ti sei messo a fare sta cosa esclusivamente per la seconda ospite…è meglio che Beppe non lo sappia…. la ragazza russa dove l’hai fatta dormire?? sui sacchi?! Geggio ora che vivi a Milano puoi ospitare anche tu! But good we’re still in touch my friends, another plus for Couchsurfing!! !